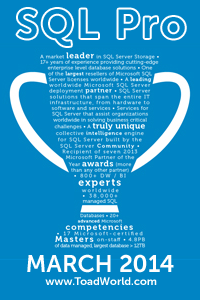 The SQL Server Live! Conference in Orlando is between November 18-22, 2013. There is a discount code provided for those who register using the discount code on my website. Additionally, next month I will be hosting a competition for one randomly chosen winner to get a free pass to the conference. Stay tuned!